From parking cars to a place to park yourself for a good night’s rest in a 15-story boutique hotel on North Washington Street. You can read the full article on the Boston Bizjournals website. 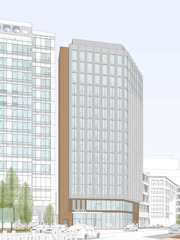 A Back Bay building at 50 Park Plaza has just gone through a $100M upgrade. 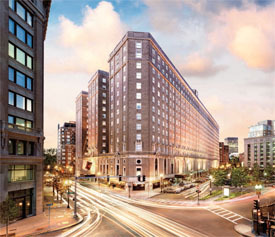 The 90 year old Boston Park Plaza Hotel has been brought up to today’s standards. Virgin Airlines, Virgin Galactic, Virgin Fuels, Virgin Mobile, Virgin Comics, and now Virgin Hotels; Richard Branson has his sights set on Boston with a new hotel concept focusing on the business traveler. 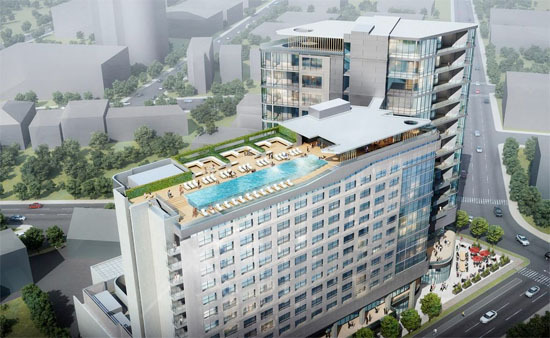 The second Virgin Hotel is expected to open next summer in Nashville, with a third location to follow in New York City.